Our mission is the prevention of cruelty to animals, the relief of suffering among animals and the extension of humane education. 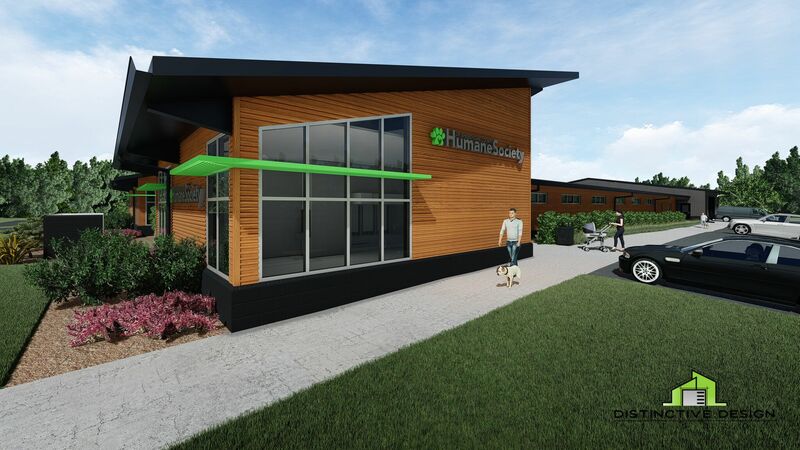 With a new shelter, we will have the room to safely care for every animal in need; resources to educate community residents; and the reward of fostering lifelong bonds. We are embarking on a journey to improve how we operate as a humane organization. Non-profit work is hard, but the hard work is what makes it great. When a community joins together we can do powerful things. 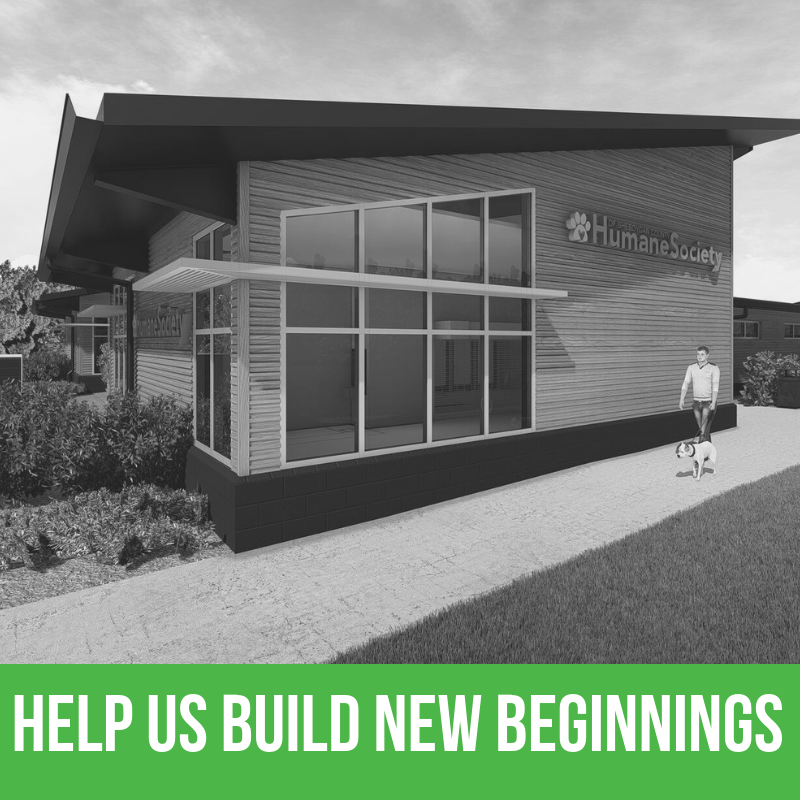 Join in our movement to Build New Beginnings by creating a safe haven for homeless animals in Sheboygan County. Your generous support is sincerely appreciated. In the early 1960s, founders of the Humane Society of Sheboygan County, Carol Knier, Ann Fredricks, Sophie Gunther and a group of dedicated volunteers set out to deal with the overpopulation of companion animals in Sheboygan County. After learning that the City of Sheboygan was euthanizing unwanted animals by using carbon monoxide poisoning from the exhaust of city vehicles, something had to be done. They went door-to-door, pleading with community residents and leaders to help. They raised enough money, filed the extensive non-profit paperwork and found a modest shelter location in 1964. Thanks to many tireless volunteers, the Humane Society of Sheboygan County was born and has served nearly 2,500 animals in need each year, ever since. Over the past 50 years, significant changes have been implemented to expand programs, services and save lives. Despite positive changes, the shelter is restricted by the restraints of the current 6,000 sq. ft. building. The need keeps growing and the shelter’s space and capabilities can’t keep up. It’s cramped, overrun and is a stressful environment for animals, staff, and volunteers. Our open-admission shelter isn’t funded by tax dollars; daily operations are supported through donations, bequests, adoptions, services, grants and fundraising efforts. It is dedicated staff, volunteers and community that help us succeed each year. To grow and achieve our vision of changing the lives of people and animals in Sheboygan County, we need a new shelter—a safe haven for homeless animals and a resource to our community. Learn how we can serve the animals of Sheboygan County and see how your caring spirit will help brighten the future for so many animals and people for years to come. Facility upgrades are needed to meet changing industry standards and to ensure the ability to give our animals the proper care and disease management. • Current shelter is 55 years old and does not provide a preferred environment for our animals, staff, volunteers, and the public. A new shelter is needed since it would be cost prohibitive to remodel the current building. Our mission relies on interactions with future advocates to address animal welfare issues, yet we have no designated area for education or outreach. • No room for current or future program expansion: birthday parties, animal reading program, camps, etc. • Community outreach is key; if we can’t bring people to our facility and educate them about our programs and services we have no hope to be an advocate for those that do not have a voice. Inadequate surgical space to serve as the foundation for all medical procedures. Extremely limited space to adopt, surrender or utilize program services. • No adequate office spaces to accommodate growth. To meet our office and meeting needs, we are currently using a construction trailer and meeting rooms in the We Care Building. Our vision is to build an 20,000 sq. ft., state-of-the-art facility that serves 2,500 homeless animals in Sheboygan County. The design allows for improved operational efficiency for current programs and services, as well as the development and enhancement of new programs and services. The benefits to both animals and people are clear; we will be able to save more lives and provide more resources for the community. A new shelter will overcome all existing shelter challenges, which means more animals adopted, rescued and saved. 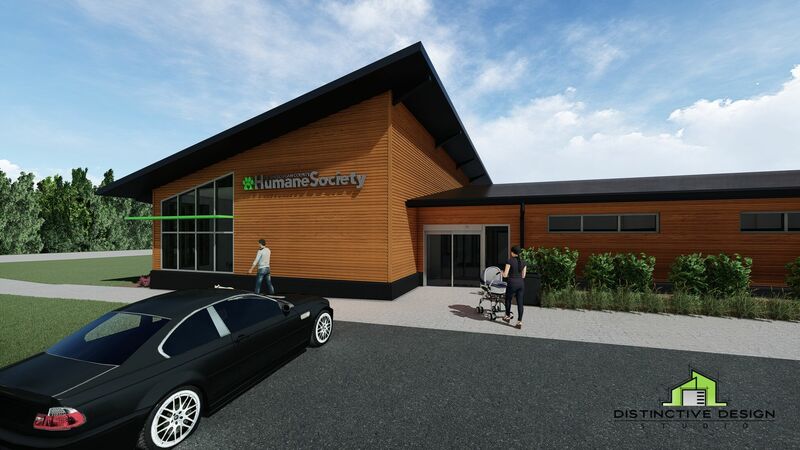 The Humane Society of Sheboygan County will have the right space to find the right home for every pet, creating more lifelong bonds between people and animals. The new shelter will be a place of health and happiness. A warm, welcoming, and bright community destination for animals and the people who care for them. Did you know that pledges to the capital campaign can be paid over three years? This allows you to make smaller payments monthly, quarterly or annually that can add up to a significant contribution. We are able to accept payment through check, cash, and credit or debit cards. Get the kids involved with penny drives! Looking for other ways to help the campaign besides donating? Help us spread the message and share your passion for HSSC with family, friends and colleagues. Encourage them to support the campaign by making a contribution. You can also help by sharing the news of the capital campaign on your social media pages. Host an in-home giving party, invite your friends and family and help us raise dollars toward the new building. We welcome, and depend on, the support of philanthropic gifts to our organization. Did you know that pledges to the capital campaign can be paid over three years? This allows you to make smaller payments monthly, quarterly or annually that can add up to a significant contribution. We are able to accept payment through check, cash, and credit or debit cards. Display a Humane Society of Sheboygan County donation bank, barrel, or campaign information! It will show your customers & clients that you care about animals in the community as well as help our shelters mission of finding homes for our furry friends. Payroll Deduction: Many companies offer automatic payroll deduction programs which is an easy way to donate and help support the animals here at the shelter. Matching Gift: Oftentimes companies will match the donations made by employees, which can double the impact of the gifts you are giving! Let’s work together to create a unique partnership for your company to show your support of the community and the animals we care for. We can create a mutually beneficial partnership to allow your company to connect with our community of supporters through a special promotion. We would love to work together to develop the purrfect partnership! Support Through Sales: Generously donating a percentage of your sales during a certain time or on a certain product. We will support those who support us! Events: Host a fundraising event on site or work with us for a “Mobile Mingle”, allowing your customers some animal play time. Additionally, host an open house for our campaign, to help push community support. Our vision is to build an 18,000 sq. ft., state-of-the-art facility that serves 2,500 homeless animals in Sheboygan County. The design allows for improved operational efficiency for current programs and services, as well as the development and enhancement of new programs and services. The benefits to both animals and people are clear; we will be able to save more lives and provide more resources for the community.